Life’s Simpler than you think with a Toyota Hybrid. No Cables, no sockets, no waiting around – just jump behind the wheel and go. A Hybrid is classed as any car that runs off 2 different power sources. In the case of Toyota Hybrids, they run on a petrol engine and a electrical engine. Hybrid cars emit 40% less Co2 than standard cars and Hybrids are also up to 20% more fuel efficient. when this occurs the car drives exclusively on battery while at the same time charges the battery. Charge mode engages when the car is either braking or coasting. All hybrids now come with regenerative braking, which means that the energy extracted from the breaks is used to charge the battery. 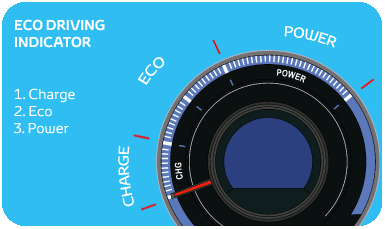 Eco mode is a combination of both the petrol engine and the battery engine. Hybrid seamlessly switches between engine and electric motor as needed, allowing regular intervals of electric driving. This is used only when the car needs a bit of power from the petrol engine, it exclusivly uses just the petrol engine. Power mode kicks in when taking off or when you need an extra bit of power to built up speed. Click here if you want to learn more about financing a Hybrid. Similar to an energy saving light bulb which uses less electricity to produce the same amount of light, the hybrid powertrain uses less fuel as the battery kicks in so you’re not wasting fuel. EV Mode - The near silent running in all-electric mode contributes to more peaceful surroundings and keeping noise pollution under control. The silent electric drive is of particular benefit in the morning or late at night in residential areas, in underground parking, etc. 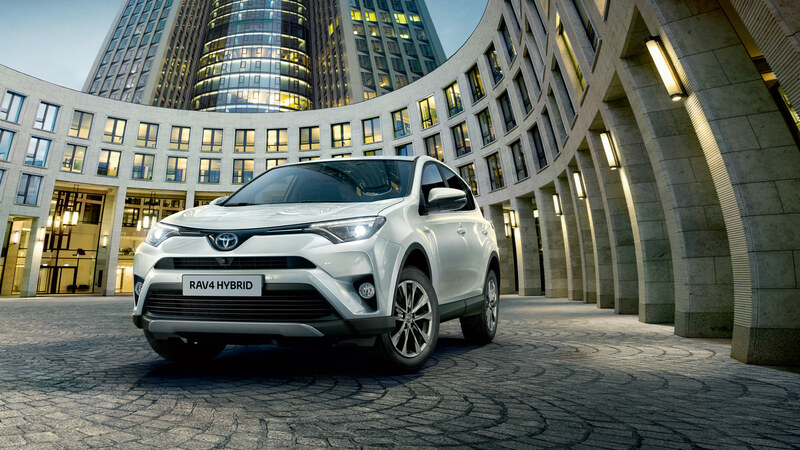 Hybrid Synergy Drive delivers driving performance that can only be experienced with a full hybrid vehicle. During acceleration, the high-output electric motor delivers a response better than is possible with most gasoline vehicles. The results: smooth acceleration with no shift shock and sustained acceleration power. The acceleration performance compares to that of conventional 2l engine vehicles. Hybrid customers engage with their vehicles. When the needle of the hybrid system indicator is in the CHARGE or ECO areas, the eco drive indicator light illuminates to inform the driver that the vehicle is being driven in an ecologically friendly manner. It also reduces driver stress, there are less accidents and driver satisfaction is high. "Hybrid is the same as driving a conventional car"
"Hybrid is the same as an Electric car"
"You have to plug in a Hybrid to charge it"
You don’t need to plug it in to charge the car – it charges as you drive and brake which is known as Regenerative Braking. This means that if you’re approaching a junction and brake for 300 metres, you can recycle enough energy to drive again for 300 metres without the need to use the petrol engine. "Hybrid is a fad and lacks power"
The first Toyota Hybrid car went on sale in Japan in 1997 and globally in 2001. Over 3 million Toyota hybrid vehicles have been sold since then, with more and more being introduced. So it’s been around for 15 years - not much of a fad! The Auris Hybrid has a 1.8l engine and 136bhp. "Hybrid components can be more expensive than conventional car parts"
While the hybrid components can be more expensive these rarely need to be replaced - less than 2% of the warranty cost of the Prius is related to the hybrid components - very reliable. "Hybrid is only for Eco warriors"
When it was initially launched hybrid cars appealed to mostly ecologically minded people, however, the cost savings and driving experience mean that the Auris Hybrid appeals to a wide range of people. "Because it has two power sources you have to service it twice"
It doesn’t need any extra servicing, the Auris Hybrid, as with a conventional car, should be serviced every 15,000km or every year whichever occurs first, this is in line with the manufacturer’s specification. The residual value of hybrids is just the same as conventional cars and in some cases can be as much as 5% higher. As hybrid vehicles use less fuel due to their dual power source, and with the ever increasing cost of diesel, as well as a lower total cost of ownership, hybrid vehicles are more economical than diesel vehicles over the life cycle of the car. The battery is designed to last the life of the vehicle – some US owners have already passed 250,000 miles!